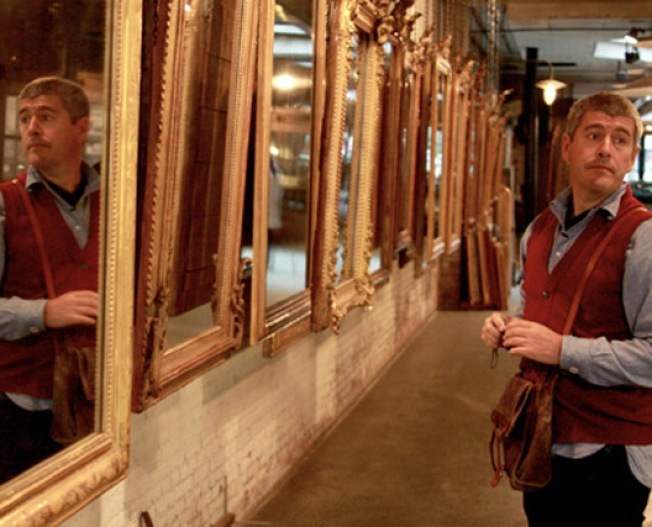 Last night, the Sundance Chanel debuted Man Shops Globe, in which Anthropologie buyer Keith Johnson hunts for antiques for the company's stores. Nonstop Anthro blogger Effortless Anthropologie deemed it "pretty good" but added that the show loses out on some drama by refusing to reveal how much Johnson pays for all that hand-crafted art and furniture. Professional TV critics made the same observation, only less gently. Jezebel's round-up provides a good overview, concluding "If there's a way to take stuff from the have-nots and sell it — with a considerable markup — to the haves, without seeming crass, you apparently won't see it on this show." Of course, Anthropologie is hardly the only company benefiting from globalization in unsavory ways, but its boho one-world vibe makes the mark-ups (not to mention owner Richard Hayne's conservative political views) seem hypocritical. But none of them really gets at the dopey banality that is Anthropologie's other big problem. Anthropologie is boring. Anthropologie is thinking that France is pretty. Anthropopologie is a knee-length floral-print skirt paired with embellished flats. Anthropologie is naming your baby "Emma." We can't really find anything to disagree with here. Then again, the only thing more annoying than a person who goes around saying obvious things like "France is pretty" is someone who wants to argue that it isn't.